The portal is a gateway for our members to access their company sponsored health benefit program and/or wellness program. If you are a Stayfit™ Plan wellness member and have received your welcome e-mail or letter with access instructions, enter your information in the Log In box above. If you are a health benefit member accessing the system for the first time, click on "Register Now". Once registered, you will be able to access your secure personal health and benefits portal by entering your username and password in the Log In box above. 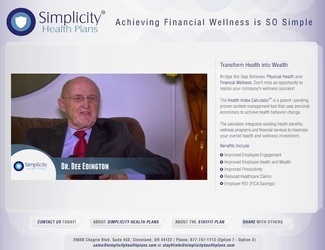 © 2019 Simplicity Health Plans. Simplicity is a transaction integrator, not an insurance company.